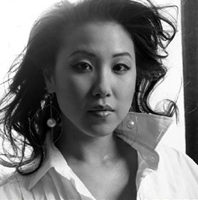 Min Kwon is Assistant Professor of Music at the Mason Gross School of the Arts at Rutgers University, where she teaches piano, chamber music, and graduate seminar in piano literature. As a soloist, recitalist, and chamber musician, Min Kwon has performed extensively on five continents. Recent and upcoming highlights include the Asian Premiere of Paul Schonfield’s Four Parables for Piano and Orchestra in Korea, solo appearances with the Bacau Philharmonic in Italy; concerts in the Czech Republic, Norway, Germany, Estonia, the Philippines, Malaysia; recitals and master classes in Singapore, Australia, and South Africa; and lecture-performances at International Conference on Arts and Humanities in Hawaii. International engagements in previous seasons included appearances on BBC TV England and Scotland, Salzburg Scholosskonzert in Austria, Colmar Festival in France, Kuhmo International Chamber Music Festival in Finland, and IMF Conference in Switzerland. She has also toured extensively with the Orquesta Estaudo de Mexico, Orquesta Sinfornica Venezuela, and with all of the major orchestras in Korea: KBS Orchestra on tour of Korea, Puchon Philharmonic at the Seoul Arts Center, Korean Symphony, Daejun and Seoul Philharmonic Orchestras. 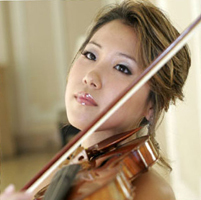 In the US, Min Kwon made her American debut with the Philadelphia Orchestra performing Prokofieff’s Concerto No. 3 in 1987 and since appeared as a soloist at Avery Fisher Hall, Lincoln Center with Stanislaw Skrowaczewski, Aspen Music Festival with James Conlon, and Van Cliburn Piano Institute with John Giordano and the Fort Worth Symphony. Kwon has also performed as soloist with other orchestras including North Carolina, Atlanta, New Jersey, and Haddonfield symphonies, Northeastern Pennsylvania Philharmonic, Aspen Festival Orchestra and both the Juilliard Orchestra and the Juilliard Symphony. During the 2000-2002 seasons, Kwon was selected as the principal pianist of the Civic Orchestra of Chicago under Daniel Baremboim, performing a series of chamber and orchestral concerts at Orchestra Hall in Chicago, including performances of Stravinsky’s Petrouchka. 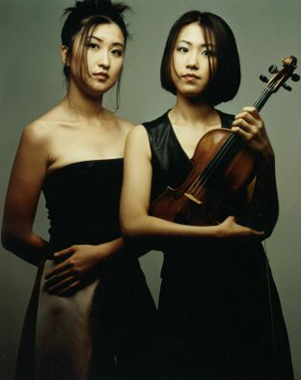 The 1998-2003 seasons were marked with extensive tours of the US under the auspices of former Columbia Management /Community Concerts LLC., comprising over 200 joint recitals, workshops, and master classes with violinist Yoon Kwon. The duo has also performed at the St. Louis Great Artists Series, Stradivari Society Series, and the Ravinia Rising Star Series. In 1995 they became the first Korean artists to record for BMG /RCA Read Seal label collaborating with Grammy Award-winning producer David Frost. Min Kwon has also recorded You and Me, an album of solo and duo music including works by Chopin and Rachmaninoff; Serenade, a collection of Italian Songs with tenor George DeMott; and Concerto Extravaganza, a personal tribute to piano concertos ranging from Bach to Rachmaninoff. An active advocate of chamber music, Min Kwon has performed with such distinguished artists as Leif Ove Andsnes, Edward Auer, William Bolcom, Laurence Lesser, Robert McDuffie, Susan Starr, Arnold Steinhardt, Robert White; principals and members of major US orchestras: the New York Philharmonic, Metropolitan Opera Orchestra, New Jersey Symphony, Chicago Symphony, and Philadelphia Orchestra; and first prize winners of international competitions: Benjamin Schmid (Carl Flesh), Akiko Suwanai (Tchaikowsky), Axel Strauss and Hai-Ye Ni (Naumburg). For over a decade, Kwon chose to devote much of her efforts to studying and performing violin and piano duo repertoire with Dorothy DeLay and served as pianist for her studios at The Juilliard School and Aspen Music Festival. In 1995, at the request of Alexander Schneider and Felix Galimir, Kwon performed as the official chamber music pianist of the New York String Orchestra Seminar at Carnegie Hall. Other noted chamber music performances in the US include Cape & Islands festival, New Jersey Chamber Music Society, Barbara Mann Performing Arts Center in Florida, and Bach Symposium as part of Great Artists at Lincoln Center. Actively seeking collaborations and projects of a varied and compelling nature, Kwon has received critical acclaim for her performances with the Juilliard Dance Ensemble in Lyla York’s Rapture (Prokofiev Concertos No. 3 and 5) at Lincoln Center, which resulted in repeat engagements of the same work with the Atlanta Ballet and in the Martha Graham Tribute Concert. Min Kwon’s versatility as an artist has taken her to over 45 countries to date. Each summer, she tours extensively in Europe. Subject of numerous published articles and television, she was the featured cover story “Maestros on Mediterranean” in the winter issue 2003 of Virtuoso Magazine. Kwon herself has been a contributor of articles for publications such as Piano Music, The Strad, Strings and Bow, and Gramophone (Korea). Her exclusive interviews include Mitsuko Uchida, Yevgeny Kissin, Murray Perahia, Kristian Zimmerman, Leif Ove Andsnes, Pierre Laurent Aimard, Ruggiero Ricci, and president Joseph Polisi of The Juilliard School. Native of Korea, Min Kwon is the recipient of the Music Award given by the country’s Department of Education. She made her orchestral debut on nationally televised concerts with the Seoul Philharmonic and Korean Symphony performing Mendelssohn Concerto No. 1 and Saint-Saens Concerto No. 2. In 1984 she came to the United States and began studying at the Curtis Institute of Music earning a Bachelor of Music at the age of 19. Kwon received her Master of Music and Doctor of Musical Arts from The Juilliard School where she was winner of the coveted Gina Bachauer International Piano Awards and Beethoven Concerto Competition. 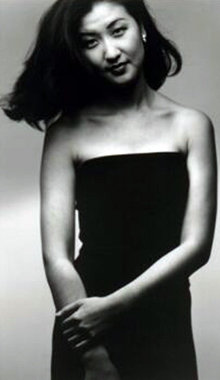 While at Juilliard, she taught chamber music, as assistant to Samuel Sanders, and Piano Minor. Kwon then pursued post-doctoral studies at Mozarteum in Salzburg, Austria. Her teachers include Jin-Woo Chung in Korea, Eleanor Sokoloff, Leon Fleisher, Gary Graffman, and Susan Starr at Curtis, Martin Canin and Jerome Lowenthal at Juilliard, Joseph Kalichstein and John Perry in Aspen, Vitali Margulis in Germany, and Hans Leygraf in Austria. In master classes, Kwon worked with Emanuel Ax, Yefim Bronfman, Misha Dichter, Richard Goode, Murray Perahia, and Andre Watts. Kwon studied chamber music with Dorothy DeLay, Felix Galimir, Andras Schiff, Ivry Gitlis, Jonathan Feldman, and Samuel Sanders. Kwon has been honored with more than a dozen top prizes at national and international competitions including Grand Prize of the KBS Seoul Emerging Artists, first prizes at the International Keyboard Institute of New York (Dorothy McKenzie Artist Recognition Award), Kingsville International, Van Cliburn Institute, Philadelphia Orchestra, Haddonfield Symphony, Kathleen M. Joseph Bryan, William Boyd, Scottish International, Jaen International (Spain), Calabria International (Italy), and Dong-A International (Korea). As a committed teacher, Min Kwon has been teaching actively since her teens. Over the past two decades, she has developed a uniquely analytical and individually-tailored teaching method that has produced great results. Prior to her appointment at Rutgers, Kwon’s students were accepted to The Juilliard School, Manhattan, Mannes, and Eastman School of Music, Indiana University, and Peabody Conservatory. Her pedagogical concept focuses on efficiently targeting problems and finding physical ease, while synchronizing intellectual and emotional expression. Her teaching philosophy and methodology have evolved from actively seeking the numerous, distinguished musicians with whom she has studied and performed. In addition to her affiliation with Rutgers, Min Kwon is rapidly becoming one of the most sought after teachers of her generation. She has been invited to teach at the AMEROPA International Chamber Music Festival in Prague, Vladimir Feltsman’s Piano Summer at SUNY New Paltz, Kuhmo International Masters Course in Finland, and International Keyboard Institute in Korea. Kwon serves as Artistic Advisor at the Watchung Arts Center in New Jersey, and has adjudicated its first Young Artists Competition, as well as New Jersey MTNA Competition, Jacob Flier Piano Competition (NY), and Kuhmo International Chamber Music Competition for Young Artists.